It is possible to learn day trading, even if you don’t have any experience with the stock or commodities markets at all. The important thing to do is to make certain you have the fundamentals down before you try to use your new, shiny day trading software with any of your hard cash. If you just jump in head first, get a brokerage account, get your data feed, and start trading with “live” money immediately, you’re probably, at best, be frustrated, and at worst lose a lot of money. The days of paying large sums of money to travel to an expensive seminar are over. 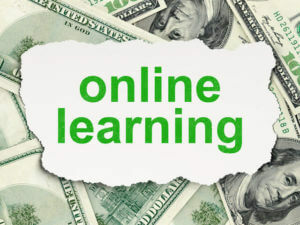 Today, you can log into an online webinar And learn day trading at your pace, and your budget. Webinars allow you to learn day trading from very experienced traders from the comfort of your home or office. Look for trading webinars that are designed for people at your skill level. If you’re an absolute beginner, you’ll want to spend some time learning the very basic elements of the markets and how to understand them before you move to more advanced topics like capital preservation and risk management. If you take a webinar, technical analysis indicators will be a part of it. These are tools that you use to analyze the movements of a stock or a commodity and to plot out your next move about it. You’ll hear complicated terminology such as “support and resistance,”order flow”, and “position sizing.” An on-going webinar series or mentor-based learning environment will enable you to develop the necessary skills needed to experiment with trading tools so that you can use technical analysis to your advantage instead of stumbling through a maze of custom indicators, cluttered charts, and a severe case of analysis paralysis. The best trading software on the market will allow you to make simulated trades while you learn day trading. Don’t be afraid to do this for a couple of months while you get the hang of it. It takes a lot of “chart time” to learn to use a new sophisticated trading system. However, the effort will pay off exponentially in the long run. ‹Older post How to Know if Your Day Trading System Works?